Water is a critical part of any healthy lifestyle, but there’s no guarantee that the water in your home or business will be safe to drink. With so many cities unable to consistently provide pure, clean drinking water to the public, personal water filtration will always have an advantage. If you are considering filtration resources in your home or business to guarantee that your water tastes great and is safe to drink, Schultz Soft Water is here to help you find a unit that meets your budget and exceeds your expectations. Explore our options for water filtration systems below or call now to speak to a member of our educated team! We’re passionate about water and we’re eager to help you find your fit. We proudly serve Sauk Rapids, St. Cloud, Buffalo and Annandale. When you want clean, fresh drinking water day in and day out, you want what the K5 Drinking Water Station has to offer. 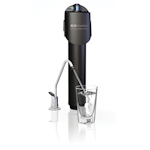 Providing a superior solution to basic drinking water, the K5 is an advanced reverse osmosis system that is designed to remove more contaminants than any other system. With the ability to produce 40 gallons of drinkable water a day, at nearly three times the industry average, your family can enjoy as much water as desired. Better yet, the K5 drinking water station comes with a 7-year warranty, so you’ll be covered long after the installation is complete. 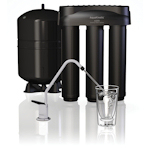 When you’re looking for an easier and more compact solution, the AquaKinetic system provides a smaller alternative that provides just as much purification power. Utilizing reverse osmosis technology in a straightforward approach to drinking water, this three-stage system offers access to water for every home occasion with minimal maintenance. The AquaKinetic comes with a 5-year warranty. For those who prioritize great tasting and odor-free water, the MACguard system is a great opportunity to improve your water experience. With a small, simple, and streamlined filter system that fits perfectly under any sink, you can get your fill of unlimited drinking water without breaking the bank. 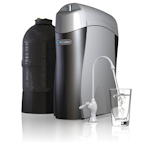 Installation is a breeze, letting you access pure water in minutes. Best of all, there is a 1-year warranty on all parts to keep you completely covered should issues arise. When you want to set your worries aside and keep your drinking water fresh and safe to consume, there’s no better resource in Sauk Rapids, MN than Schultz Soft Water. Contact us today to learn more about our pricing and installation process, and let us show you how easy, fresh, clean, and healthy drinking water in your kitchen can be! Let us help you create a new water experience for your life. Call 320-251-4100 now to improve the quality of water in your home!